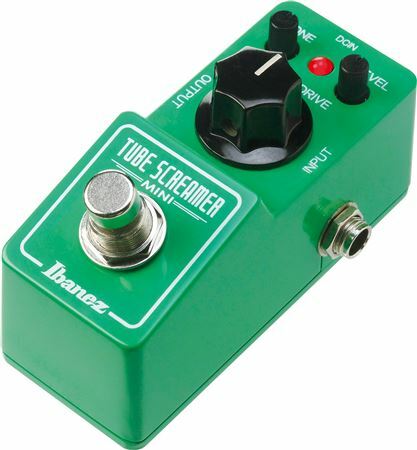 Shop Ibanez Tube Screamer Mini Overdrive Guitar Pedal from AMS and enjoy Fast & Free Shipping. 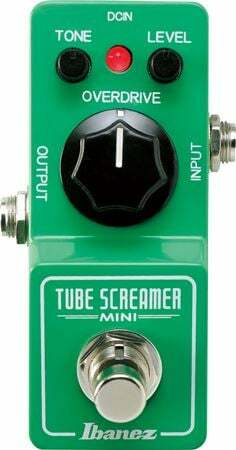 For the guitarist who’s looking to pack more onto to the pedalboard, Ibanez introduces the new Tube Screamer Mini. Manufactured in Japan and measuring in at 1.375 inches wide and 3.5 inches long, the new TSMINI has all the features that have made the TS808 a legend, including Overdrive, Tone and Level controls, analog circuitry and the legendary JRC4558 IC chip. Ibanez knows your pedalboard real estate is valuable. Here’s a Tube Screamer made to help you manage that hallowed ground. Same legendary pedal. Same legendary tone. Whether you need a boost or crunch this gets you there. This pedal can cover a wide variety of genres. Best overdrive you can get if your looking to accentuate your mids. Great tone and controls for the smaller design. Excellent pedal. This pedal sounds phenomenal! and it really helps your pedal board's real estate because of its size. Killer little over drive that packs a big punch. Works great. Small real estate footprint on the pedalboard. Great addition to any pedalboard. 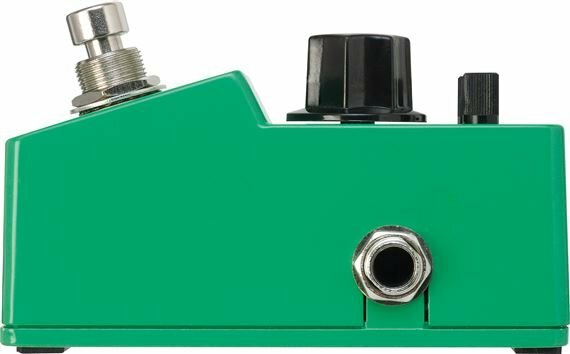 Classic warm tube screamer tone.Great boost for clean and dirty.Nice footprint size to put anywhere on your board or just stand alone.Well built too.Awesome product and a great price.Everyone needs one. Just the right amount of overdrive!! Very tasteful! !